In other words: Get people to care, show them what they can do to help, and then give them positive reinforcement when you get results. It's basic human psychology, and it might seem obvious when you see it in a super-simple graphic. But it's surprisingly easy to miss these steps, skip ahead to the part where you invest in awesome performance tools, and then wonder why all your performance efforts feel like such a painful uphill slog. 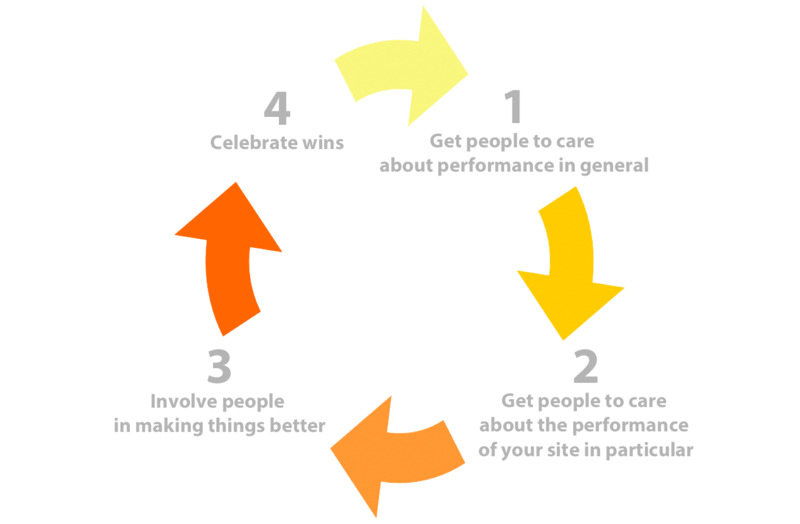 Here are some proven tips and best practices to help you create a healthy, happy, celebratory performance culture. One of the fastest routes to getting people to care about performance is to show them how slow their site is compared to their competitors. One of the great things about synthetic monitoring is that you can test any page on the web, not just your own. This lets you do great things like generate side-by-side filmstrips – and even better: videos – of your site alongside your competitors' sites (or any other aspirational sites). How SpeedCurve can help: Here's how to set up ongoing competitive benchmarking and generate comparison videos. Performance budgets are an important tool for ensuring your site is delivering a great user experience. The practice of using budgets to track performance took off with this post by Tim Kadlec. The idea is to identify your performance goals, then track the metrics that help you achieve your goals. Setting performance budgets lets you focus on the metrics you care about most, create goals, set budgets based on those goals, and get alerts when those budget thresholds are crossed. To make people accountable, give them ownership over their performance budgets and make sure they receive alerts when their budgets are exceeded. Create performance budgets around specific metrics (e.g. 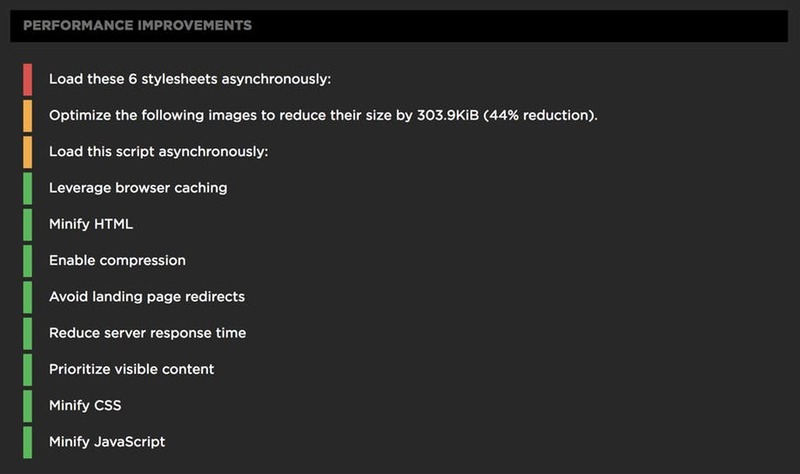 page size, start render, custom metrics, etc.) for your pages, and send alerts – via email, Slack, and HipChat – when your numbers go out of bounds. Here's how Zillow uses SpeedCurve to create and enforce performance budgets. Your Status dashboard lets you monitor and manage all your Synthetic and LUX performance budgets – and see budget violations – in one place. Generate weekly email reports. Turn any Favorites dashboard into an email report that contains a week-over-week comparison of your data. How SpeedCurve can help: With synthetic monitoring, you can drill down to find the most critical defects that are hurting specific pages. Pair that with real user monitoring, which lets you map performance to biz metrics like conversions. Shouting from the rooftops (or sending celebratory emails) is a great start. Next, share what you did and what you learned. This can be in the form of company- or department-wide emails, posts on your in-house dev blog, and internal meetups. I know of some performance teams that do regular monthly technical meetups, and once or twice a year do a company-wide event where they share all their greatest web perf stats and victories. Share your case studies and successes (if your company allows it) on a public-facing tech blog like Etsy's Code as Craft, Cars.com's Tech Blog, and the Financial Times' Engine Room. Attend performance-oriented conferences like #PerfMatters, DeltaV, SmashingConf, and performance.now().